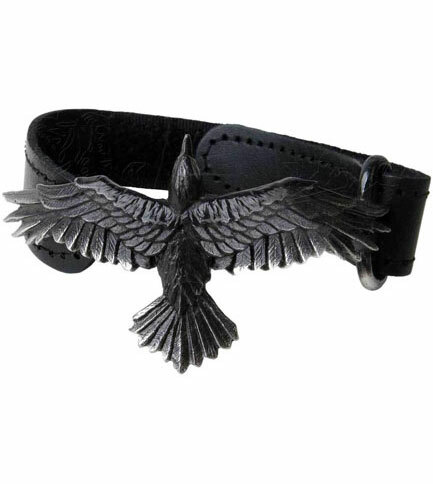 Black leather bracelet with black flying raven made of fine English pewter. Adjustable velcro strap. 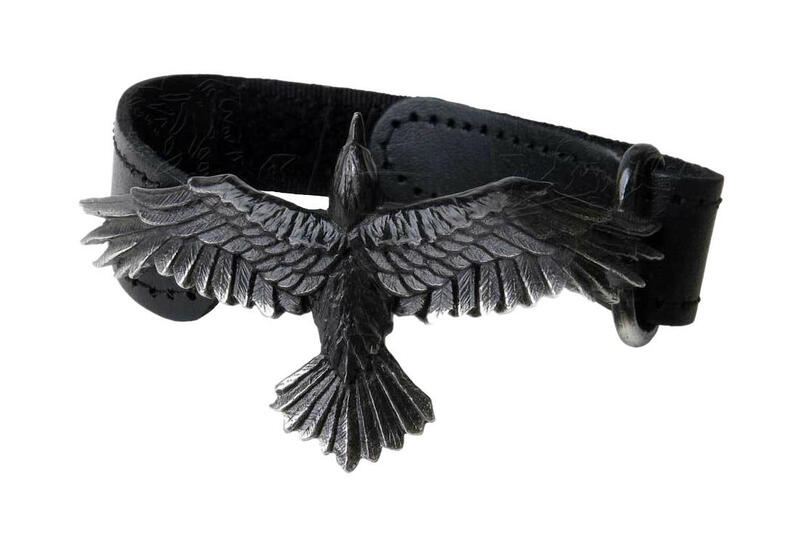 Measures approximately 10.35 inches wide, 1.42 inches high and 0.12 inches deep. Imported. How small will this adjust to?